When you start going to the gym, your immediate realization is that everyone dishes out an advice. Whether they make sense or not, is for you to decide. Mostly, these advice are conflicting and they leave you at your wit's end. We have put together, top such 5 fitness industry lies that many people would like you to believe in, but are not true. Find the truth for yourself. FACT: Weight train to become slimmer. Normally, cardio burns 5-10 calories in a minute which is more than the calories burnt per minute in weight training. The other side of the story is that cardio burns more calories per minute but you also lose muscle mass. In one Penn State study, dieters lost 21 pounds whether they performed cardio or strength training. But for the cardio group, six of those pounds came from muscle, while the lifters lost almost pure fat. Losing muscle mass is going to make it difficult for you to maintain your weight, as it slows down your Basal Metabolic Rate (the number of calories you spend every day in maintaining your bodily activities, eating, sleeping, breathing). Here, weight training certainly has an edge. Both these factors count towards weight loss in the long run and without actually doing a thing. Studies have demonstrated that after a weight training workout, the metabolism can be boosted for up to 36 hours post-workout, meaning that you will be burning more number of calories for the same sedentary activities, like watching TV. The difference might sound nominal initially, of only 10-15 calories, per hour, but if you calculate the impact over the period of 36 hours, the numbers are going to be significant. Moreover, weight lifting enables you to build bigger muscle mass. Muscles are metabolically active tissues, and you need more calories in maintaining them. 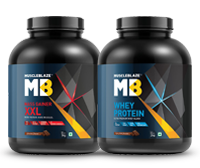 If you continue to strength train and eat enough protein, you will be able to manage your muscle tissues, which makes strength training an effective strategy for weight loss in the long run. The fool proof plan to weight loss should aim at cutting down your calorie intake by replacing a meal with a protein shake, weight train along with cardio. FACT: For results to show, you need to let your muscles recover. An intense workout causes microscopic injuries in your muscle tissues. Your muscles will grow bigger, only if you provide it with enough muscle building nutrients and sleep over it. One of the major hormones responsible for muscle growth is HGH (Human Growth Hormone). These hormones are the highest when we sleep. Lack of sleep raises cortisol, a hormone related to catabolism or muscle wastage. Well, this much is clear that your muscles grow outside the gym. In the absence of proper recovery time, you are going to reach a performance plateau and also run the risk of injury. On the duration of rest, research studies suggest a rest period of 48 hours for the same body part as muscle soreness can peak two days post exercise. Therefore muscle building workout plans are scheduled in such a way that you target a different body part on each day of the week. It is also recommended to take an off week for professional athletes and bodybuilders to let their muscles recover fully. However, a rest week no way implies lying on the couch. You could use the time to do gentle exercises like walking, swimming, light yoga or pilates. Fact: You are born with six pack abs. You need to lose that layer of fat for the ab-show. Generally, in the fitness circle, it is believed that umpteen crunches are the shortcut to six pack abs. This is not true. Your ab muscles are going to show at a lower body fat percentage. Getting in the science of your ab muscles or rectus abdominal constitutes primarily of fast-twitch muscle fibers. 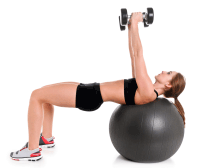 Crunches engage the upper abs and leg raises recruit the muscle fibers of lower abs. Do both these exercises on alternate days to train your abs. A study commissioned by American Council on Exercise in 2001 recommends an exercise stability ball to train rectus abdominis muscles. For firmer abs, your exercise routine should consist of workouts like crunches, leg raises, and push-ups. Push-ups not only strengthen your upper body muscles but also train your abs. Ab muscles are trained in the gym, but they are built in the kitchen. There is no way you can out-train a lousy diet. 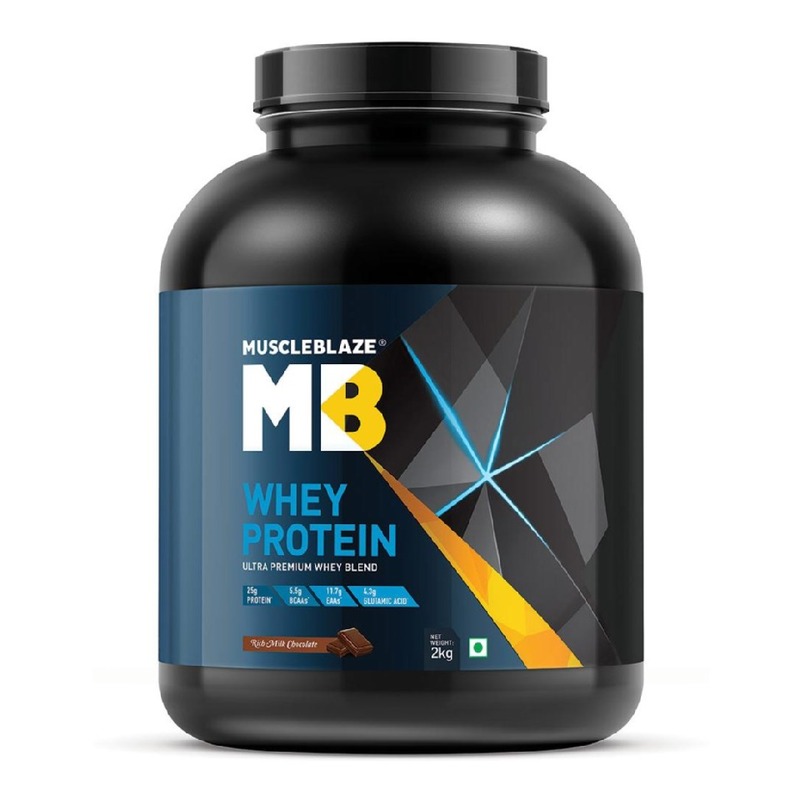 Whey protein is an important nutrient when you are trying to lose weight or build muscle, as it gives you complete protein in a scoop with satiating effect. Training to the verge of failure has been glorified by muscle building champions. Schwarzenegger summed up his view on failure, when he said, "The last 3 or 4 reps is what makes the muscles grow. This area of pain divides a champion from someone else, who is not a champion." His statement emphatically urged all muscle building aspirants to train till the verge of pain. Before you push your muscles, till they scream for mercy, you need to analyse the facts. When you train till the level of failure, there is an increased concentration of lactic acid in your muscles, an outcome anaerobic respiration. Lactic acid concentration increases intramuscular growth factors. The down-side of training till the verge of failure shows in extreme muscle fatigue. Spanish researcher Dr. Mikel Izquierdo found that training to failure every set drastically increased the level of cortisol, even when you are resting. This suppressed anabolic growth factors. If you use failure training, do so only on the last set of an exercise, and perhaps only on a hypertrophy day. Training to the verge of failure is taxing and it should not be taken lightly. Fat has been blown out of proportion in the fitness circle. To begin with, a gram of carb and protein have 4 calories, but fat has 9, which is more than double the number of calories. Drawing from this fact, the so-called health gurus began to recommend foods that had low fat for weight loss, which gave birth to a thriving business of low-fat foods, which were by no means low-calorie foods. Most manufacturers when they strip off the fat content from the foods add, extra carbs, sugar to compensate for the taste. The carb bonanza in such low-fat foods would often cause weight gain in people eating them, as the body hoards surplus carbs in the form of fatty acids. Now, when you switch a low-fat diet with a low-carb diet, you will realise that your protein intake will go up. As protein is a far more satisfying nutrient than carb, you are going to feel less hungry and will also experience improved sensitivity to insulin, a necessary pre-condition for weight loss. Now, that you know the truth behind these top 5 lies of the fitness industry, spread the good word among your friends and gym buddies.